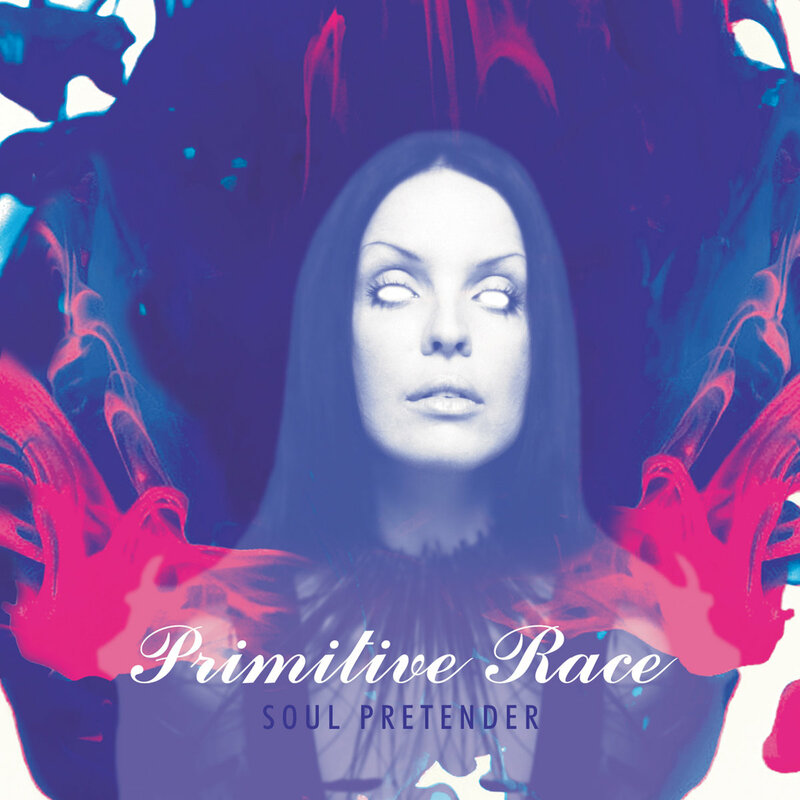 "Industrial supergroup" Primitive Race is back! And... not quite as industrial as before. The core of Chris Kniker (the very productive producer), Mark Thwaite (Spear of Destiny/The Mission/Peter Murphy/Tricky), and Erie Loch (Wiccid/Luxt/Blownload) return and are joined by Chuck Mosley (Faith No More/Bad Brains/Cement) on vocals and Dale Crover (Melvins/Nirvana/Altamont) on drums. Needless to say, this album is more raw and consistent than their self-titled 2015 full-length debut, which I also highly recommend. The group has aimed in a different direction and is reborn as a full-on rock band to be reckoned with. But there is a surprising side-effect: on Soul Pretender, Primitive Race's killer post-punk skills combine with Crover's legendary pounding and prove to be the perfect backdrop for something of a Chuck Mosley renaissance. The album opens with "Row House", a peculiar thick alterna-tune that's crunchy and kinda off-kilter, followed by the hooky-chorused "Cry Out". We take a breath, and PR hits us with the one-two punch of "Cranial Matter" and "Take It All", the punk-rockest songs on the platter. I should've mentioned this before, but Chuck's stream-of-consciousness crooning and rambling are fully intact throughout. "Bed Six", Stepping Stone", and "Turn It Up" will bring to mind elements of early FNM and Cement, but modernized and "Primitized". I guess what I'm trying to get at here is that Soul Pretender is anything but a nostalgia act. It is fresh and vital and it rocks. It just has all the right elements to make its participants shine. Speaking of Soul Pretender, the title track is haunting and dangerous and could be the score of a slasher film. A really creepy one. But with an almost-transcendent chorus. "Nothing To Behold", the sucker charged with following that monster, succeeds and is easily my fave of the bunch. It's like the long lost sister of the Bad Brains' "She's Calling You". What I've always dreamed a proper studio recording of the Mosley era to be. But likely much better. I know I keep bringing 'em up, but the songs just have these brilliant sounding choruses. Like The Killing Joke's "The Wait" but kinda pretty. "Dancing On The Sun" satisfyingly wraps up the disc, leaving me wanting more, yet knowing that I probably couldn't handle it. Punk/Indie/Metal/Outsider Music and Other Arts!! 2015 GAD! ZIne. Awesome Inc. theme. Powered by Blogger.